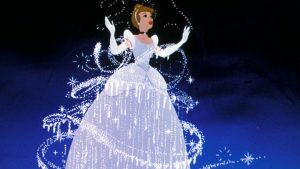 Warning: Limited spoilers ahead Disney’s live-action version of the fairytale classic “Cinderella” finally opens this weekend after much publicity and cross-promotion by the media giant. And it’s a charming retelling of the well-known story — one that keeps viewers’ attention, for the most part, and leaves us satisfied with the ending. Obviously, the biggest hurdle … Continue reading "Movie review: Disney’s Cinderella and Frozen Fever"